Since “healthcare speak” is often as foreign sounding as a second language, you practically need a phrase book when trying to understand it. Below are a few common phrases you will find in your EOB (explanation of benefits). NETWORK is not for news or computers, but is an agreement between a doctor, hospital, pharmacy, oxygen company… and a health insurance company. It states the obligation of payment from one to the other and what each of the two parties is supposed to do for you, the insured or the patient. In-network charges cost you, the user, smaller co-pays, and anything additional that you spend counts toward your ANNUAL out-of-pocket. 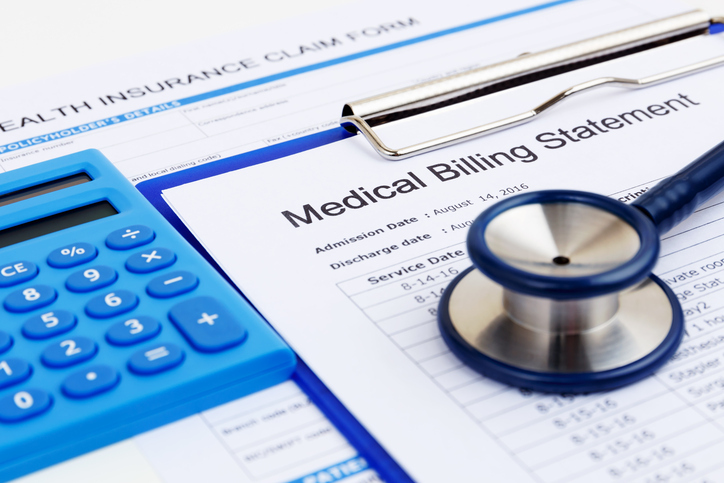 Charged: The amount your healthcare provider bills for the healthcare services provided to you. Allowed: The amount your insurer has negotiated to pay your healthcare provider for the service you received. NOTE: This may be less than the amount the provider charged. Paid by Health Plan: The amount your insurer has paid your healthcare provider. Not Covered: The dollar amount for healthcare services that your insurer does not cover. You may need to pay this amount to your provider. DEDUCTIBLE is the amount you, the patient, must spend on in-network doctors or hospitals (excluding co-pays) before your insurance spends a dime. It is a yearly expense. CO-PAY OR CO-INSURANCE is the amount a patient must spend on in-network doctors or hospitals when you and your insurer are each paying part of the bill. Co-pays continue until you have reached your ANNUAL out-of-pocket. It recurs every year. OUT-OF-POCKET MAXIMUM: The maximum amount of money in-network you will spend each year, including co-insurance, after you have met your annual deductible. You are responsible for paying each year for covered health services to meet your deductible and/or coinsurance amounts. Co-payments may or may not count toward your deductible. Check your plan to see what applies to you. OUT-OF-NETWORK provider or hospital is one with which your insurer has not negotiated an allowed fee. If your plan pays northing for out-of-network provider, that provider can ask you to pay the full “charged” fee. Some insurers will pay part of an out-of-network charge; the provider can ask you to remit up to whatever the balance is. The cumulative dollars out-of-network payments are not always counted toward your annual out of pocket maximum. Be aware that even in an in-network hospital, there can be both in-network and out-of-network physicians- even in the emergency room- a problem gathering attention in the Georgia Legislature in 2017 and at the Federal level. Remember, the EOB is not a bill. If you owe your healthcare provider for services, your healthcare provider will bill you directly. The EOB is just your insurer communicating to you the charges they received and payments they have made on your behalf. Typically an EOB will explain why your insurer did not pay a portion of a claim, but if you see anything that warrants further clarification, you can request a review or appeal. This process should be listed on your EOB or within your health insurance information. Medicare has slightly different policies. After the patient assigns benefits to a provider, participating physicians and facilities receive their funds directly from Medicare; in other words the patient is not an intermediary in the transfer of released Medicare funds to the provider. The provider can not balance bill the patient for that part of his charges Medicare does not allow. Several years ago Medicare allowed for anesthesia less than its annual deductible; the amount was less than $150. Accordingly Medicare determined its allowable of the submitted approximately $700 anesthesia fee. It did not pay its allowed fee, but sent it onto my medicare supplemental insurance. This insurance wrote a check for the entire allowed fee and sent it directly to the anesthesia group, a participating provider. Yet I received a balance bill of approximately $535. I called the practice office and asked “are you a participating medicare provider?” When the secretary replied “yes”, I explained that the practice had a contract to discount the $535. Yes she agreed. I did not confront her with the following facts. 1. I knew this practice was a participating provider before I called. 2. Medicare guards the door into my supplemental insurance as carefully as the secret service guards the doors into the White House. Medicare knew my commercial insurance was secondary. 3. Someone changed my commercial insurance in the billing system from secondary to Medicare to primary commercial. Someone sent me a balance bill. Someone hoped I would write a check. Someone did not know I had managed a medical practice.